Quality product from Volquartsen Custom. Reduced power trigger plunger and mainspring. 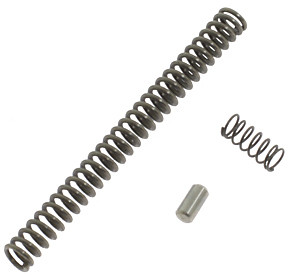 Also includes assembly pin for ease of installation on the mainspring. Fits Ruger MKI, MKII, MKIII and 22/45.